Yesterday I went to explore the Long Key Nature Center and Natural Area in Davie, Florida. 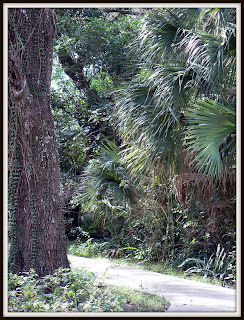 I was hoping for long walking trails, as it is one of the largest natural areas in South Florida. The only available walking trail was a half-mile long paved trail though, and while it did offer a peak into the oak hammock, it surely was disappointing that there was only half a mile to explore. The nature center is rather big, and the admission is $1. It is part of the 18,000 sqare foot building that includes an assembly hall, the nature center exhibit hall, a theater, classroom and a catering kitchen for big events such as wedding receptions and conferences. 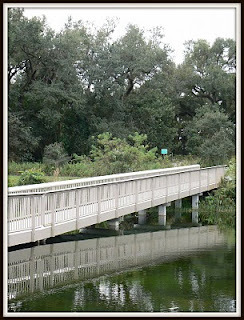 From the nature center a bridge will take you over a restored wetland area and into the walking trail. 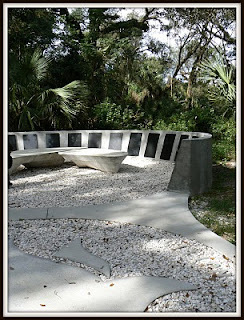 As the 0.5 mile walking trail come to an end, you will find the Broward Victim's Right Coalition Memorial park, which consist of a bench area, where the ground is covered in seashells. 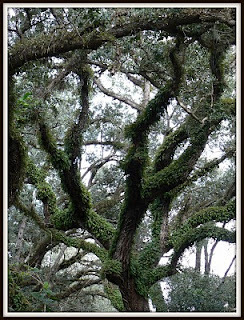 The Long Key Natural Area in Davie consist of more 164 acres, most of which is an elevated oat hammock. This area is a historical area of great significance, as the area was both a habitation site for the Tequesta Indians as well as for the more recent Seminole Indians in the area. Besides being one of the largest hardwood forests in the county, it also includes a 14 acre orange grove, wet marches and The Baez house an old 40s farmhouse. Unfortunately both the orange grove and the Baez house is not currently open to the public. The Baez house is currently being restore and a new trail is being made, so check the website for more information. The Long Key Natural Area in Davie do have a a 1.5 mile equestrian trail that connects with the Davie multipurpose trail, and close by about half a mile from the nature center you will find the Oakhill Equestrian Park. 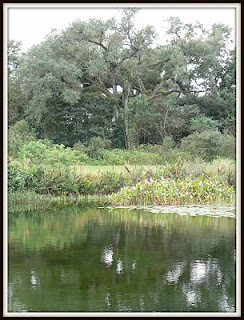 Before you enter the Nature Center you will come to a lake, where it is possible to see plenty of wildlife. We had our lunch at one of the benches, and it was quite amazing to sit there and watch nature up close. 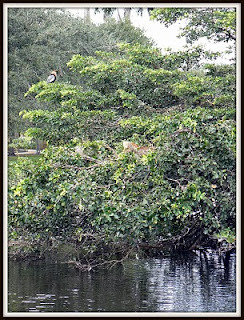 We saw many different birds, and on the island at the western part of the lake we spotted several enormous iguanas, birds and a turtle. 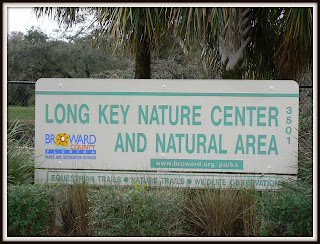 You can find the Long Key Nature Center and Natural Area at 3501 SW 130th Avenue, in Davie, FL 33330. To get more info you can call 954-327-8797 or go to the website. 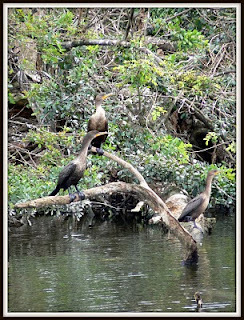 It is located just north of Griffin Road and west of Flamingo Rd just across from Flamingo Gardens. There is no cost to enter the natural area, but there is a $1 fee to enter the exhibit in the nature center. I would like to email you about a new savings related website we launched but i can't find your address anywhere. Can you please email it to me at max@cheapism.com.